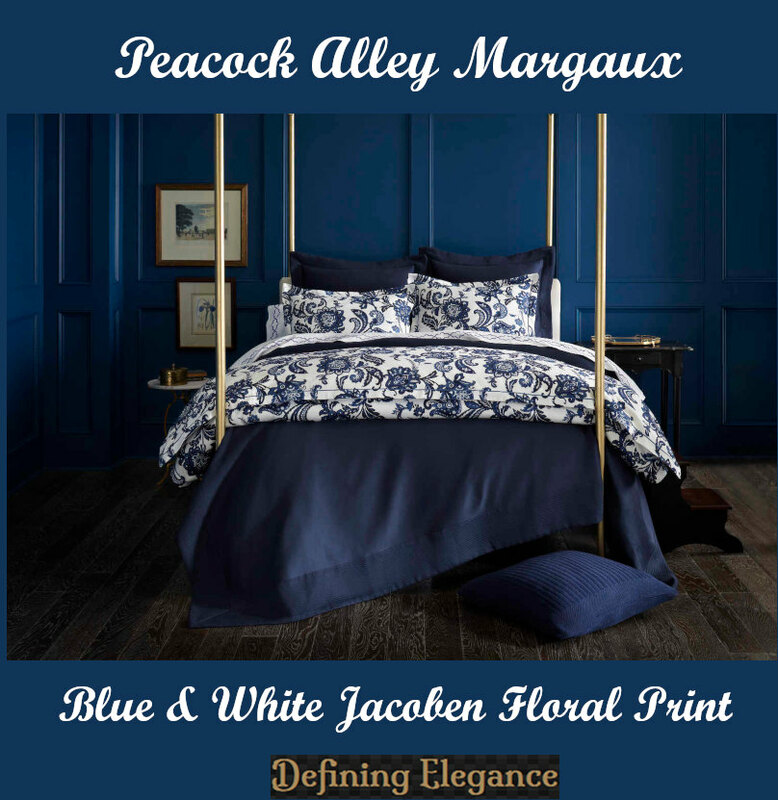 Peacock Alley Margaux in a Jacobean floral navy blue and white print will be the focal point in any bedroom. 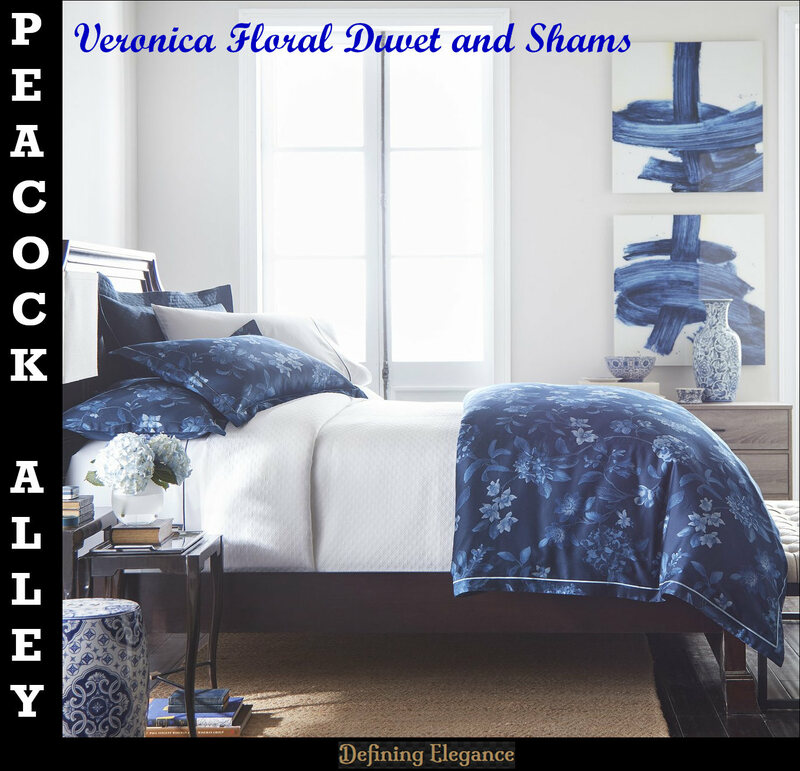 #PeacockAlley #DefiningElegance Paired with Peacock Alley Tempo white cotton sateen flat sheet and cases embroidered in a Greek key design in Navy. This richly colored floral printed bedding by Peacock Alley will fulfill the aesthetics needs of any bedroom. #PeacockAlley #DefiningElegance Made-to-order in the USA, the Veronica collection in shades of blue and soft gray 100% cotton sateen is serenely charming. 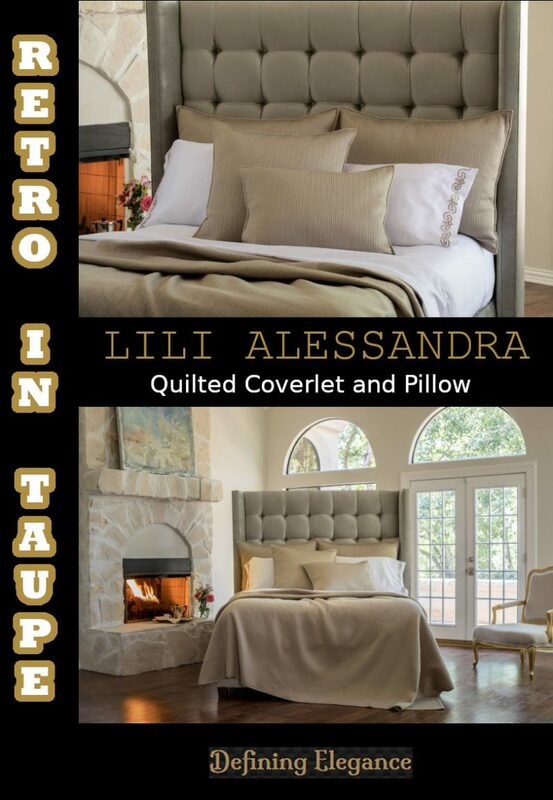 The Lili Alessandra Retro channel-quilted coverlet and decorative pillows emphasize modern simplicity and comfort. #LiliAlessandra #DefiningElegance Made in a silk-like fabric that is easy to care for yet has that luxurious appeal. Can be used alone or to layer with other Lili Alessandra pieces. 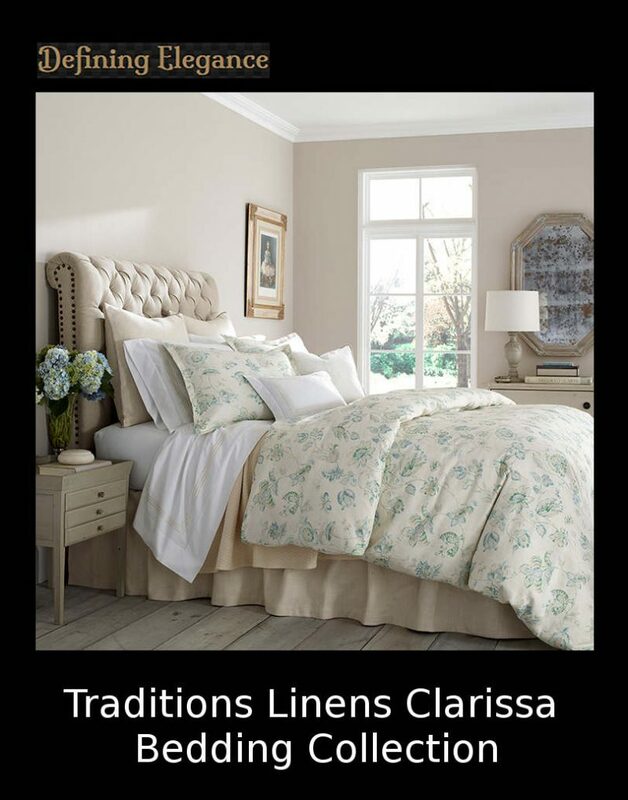 The Christy Rocco flat sheet and pillowcases are adorned with an intricately embroidered crocheted trim. 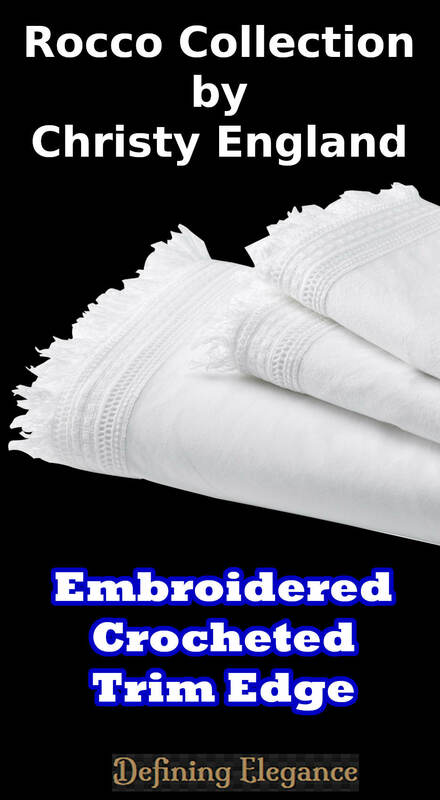 #ChristyEngland #DefiningElegance The good news is that this 200 thread count 100% stonewashed white cotton percale is both reasonably priced and seriously stylish. 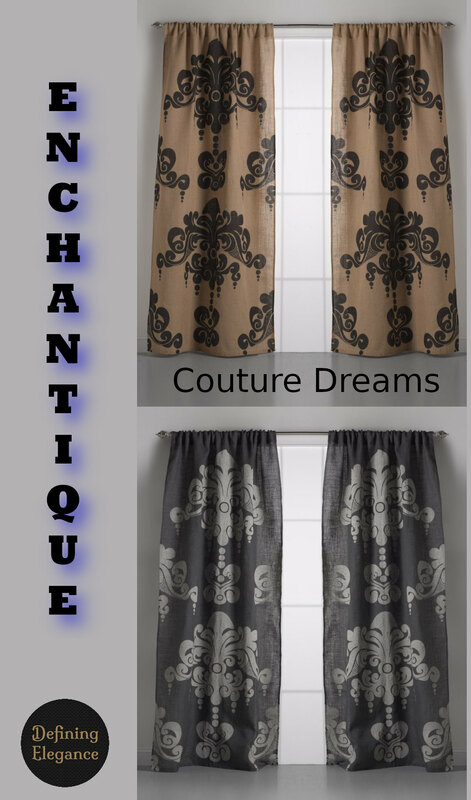 This unique printed sateen by RB Casa captures the colors and patterns found the on Cayman Islands bringing a touch of pizzazz to any bedroom. 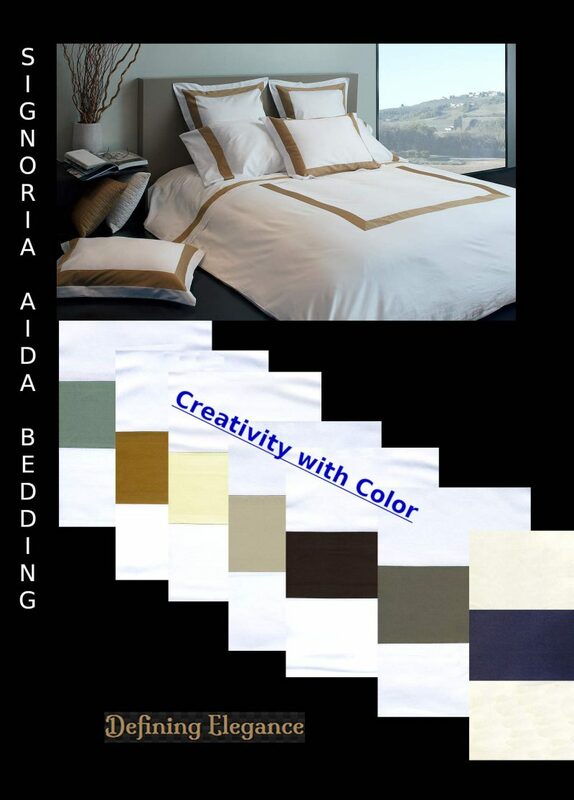 #RBCasa #DefiningElegance Available in Flat Sheet, Fitted Sheet, Pillowcase, Shams, Duvet, Bed Skirt. 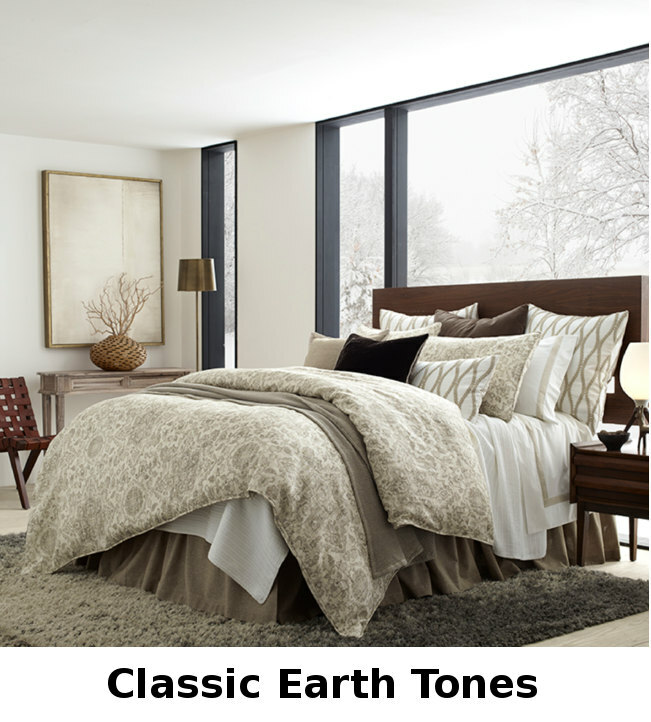 Italian linens inspired by the Spanish and Portuguese azulejos, ceramic tiles used as an ornamental art form found on the walls, ceilings, and floors of many early century structures and still very popular today. 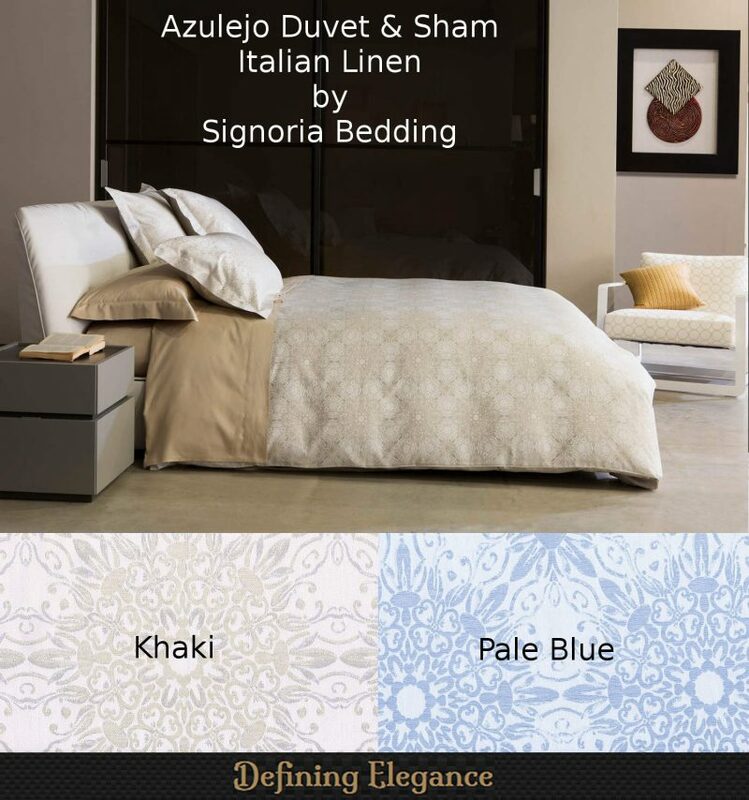 #DefiningElegance Azulejo by Signoria Firenze has a floral motif in a Khaki or Pale Blue colorway.